The 2012 Olympics. Wow. What a spectacle. It seems mad that the greatest show on Earth took place in London almost 7 years ago. It was a fortnight of sporting brilliance as Franklin, Phelps and Bolt lit up the celebration and probably the last time we can remember 14 days of positive news dominating television schedules. 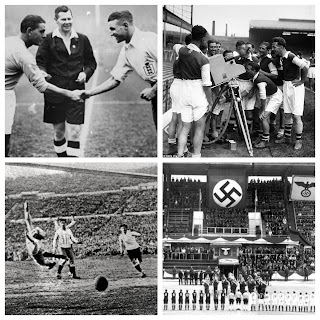 Coming from Wales (UK), we here at The Football History Boys can remember first-hand the buzz and excitement created by the games. 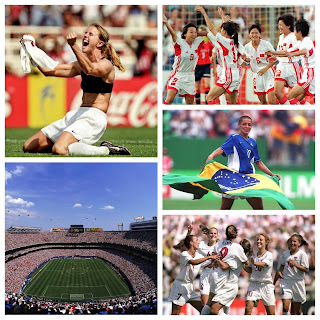 It was a games which started with football, and more importantly, women's football. 25 July 2012, Cardiff, Wales. Two days before the games began in London, the first FIFA-affiliated women's tournament to be played in Britain began. The Millennium Stadium, with TFHB in attendance, provided the backdrop for the newly-formed Great Britain side to take on the all-whites of New Zealand in front of an impressive 25,000 spectators. It was a match looking to be heading towards a bore-draw until left-back Steph Houghton sent the home fans wild with a sublime free-kick to the goalkeeper's right hand-side. The success of the side, coached by Hope Powell, drew mass support rarely seen on such a scale in the UK. Following further victory against Cameroon in Cardiff - the stage was set for the side to face 2004 and 2008 silver-medalists Brazil. The Brazilians, who boasted the effervescent talent of Marta - were strong favourites for the tie at Wembley Stadium. Over 70,000 supporters filled the ground as Britain saw its largest ever audience for a women's football match. 91 years after the ban which prohibited play on FA grounds - a true milestone had been reached. Houghton once more stole the headlines with a finely taken second-minute goal. Despite the positive performance from Team GB - a quarter-final exit to Canada was as far as they went. They had, however, inspired the next generation with their effort, attitude and the strong team bonds. The Canadians would face eventual gold-medalists, the United States, in the semi-finals at Old Trafford. The game would prove to be one the best in women's football history as goals from Abby Wambach and Megan Rapinoe (2) canceled out Canada's three goals. In the final seconds of extra-time, emerging talent Alex Morgan would score the winner to ensure American victory and the start of a new global dominance. This moment had to be included. For me, it sums up the growth in popularity of the game, but also the sheer emotion women's football can offer. 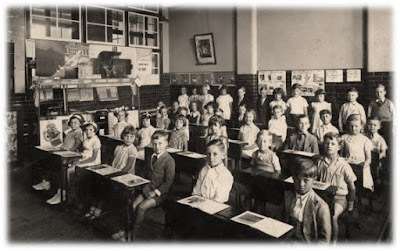 I can remember being at home and planning my whole day around the football that was to kick-off later that day. Indeed, this was nothing new with regards to the men's game, but admittedly, I had never done it for the women's game. That 2014 WSL season - had perfectly exemplified the success of the rebrand as three sides competed for the title on the final day of the season. It was a title race rarely seen in men's Premier League, but one to savour. The sides involved? Chelsea, Birmingham and Liverpool. Despite winning the title in 2013, the Reds, managed by Matt Beard had seen numerous injuries and a drop in form. This would lead to Birmingham and Chelsea leapfrogging them in the league's two top spots. With one game to go, just three points separated the sides and Chelsea, in first, only held a superior goal difference by 2 goals. The London club would travel to up-and-coming Man City, while Birmingham came up against Notts County. Liverpool would be tested by the Bristol Academy at Prenton Park. Ten minutes after the break, star forward Natasha Dowie fired Liverpool ahead - with their single goal they had leapfrogged Chelsea on goal difference and were sat at the top. 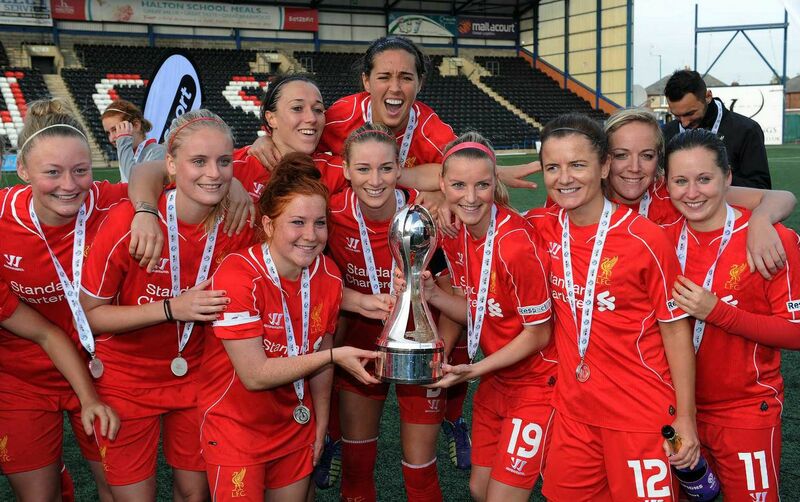 As Liverpool added a second through Lucy Bronze, Birmingham equalised in their match. Fara Williams converted a spot-kick to put the Merseysiders 3-0 up, as Chelsea pulled one back in Manchester. Liverpool had done their job and would now be left to wait and see if Notts County and Man City could keep their scorelines the same in the dying seconds. No further goals were scored and Liverpool were champions once more. "An extraordinary end top the season, and that's fantastic, because those of us who love women's football know this is exactly what we wanted. Liverpool have got better and better through the season as various injured players have come back, going about their business quietly and winning their games." 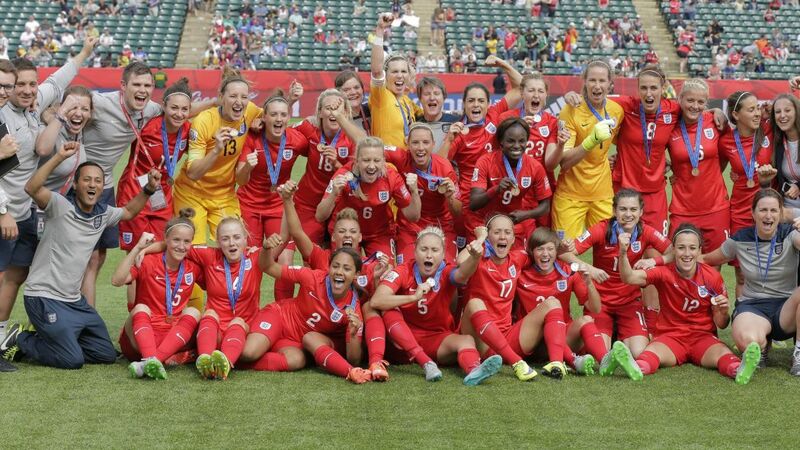 Without doubt one of football's finest ever tournaments - the 2015 Women's World Cup was a resounding success. Played in Canada in front of record attendances, the competition had it all. Fantastic goals, controversial moments and the world's best footballers on show. The 2015 edition was the first to feature 24 teams. A bold move by organisers, its aim was to help to spread the game around the world. National sides from 6 continents met for a tournament no one will ever forget. Watched by an average 26,000 spectators per game and testament to the progress made since the early 1990s, the competition saw a genuine improvement in the standard of play. The US side, who in 2012 had won the Olympic gold were the team to beat. Following defeat at the last hurdle 4 years previous, revenge was firmly on the cards when, fate would have it, they met their conquerors Japan in the final. In front of 53,000 fans in Vancouver - the final would be one the finest in football history, both male and female. 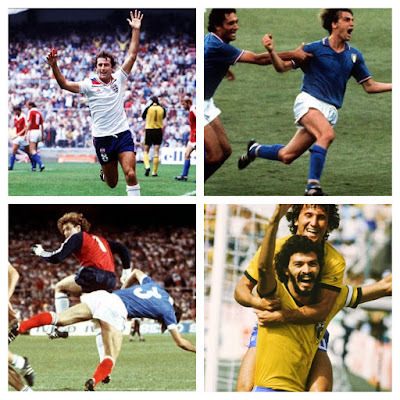 A remarkable seven goals were shared out with the US winning 5-2. 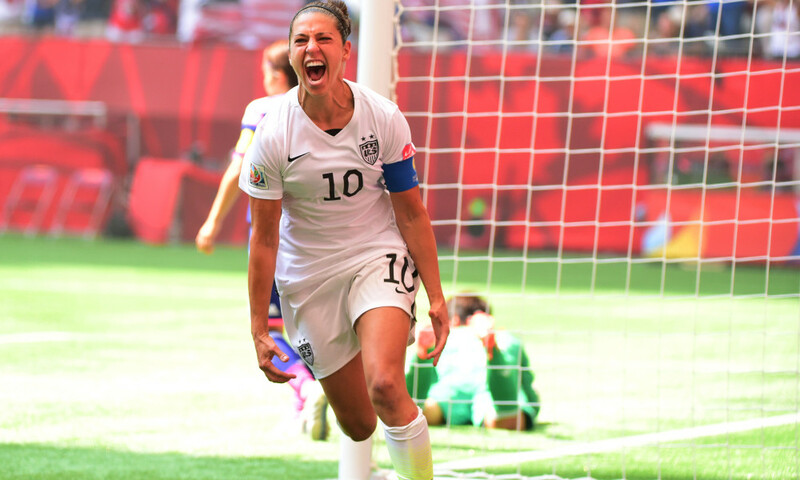 The team featuring Carli Lloyd, Alex Morgan and the retiring legend Abby Wambach would demonstrate a performance of devastating attacking play. Lloyd would score a hat-trick, including a strike from the halfway line - catching Japanese keeper Ayumi Kaihori by surprise. Elsewhere, the tournament saw new nations compete for the first time - Cameroon, Ivory Coast and 6 other sides would make their World Cup debuts to further strengthen the claim that the women's game was growing quickly around the globe. England would complete the medal places with a 1-0 victory over Germany in the third-place play-off. It was a tournament performance that would put the numerous failings of the men's side to shame as they provided the best English showing at a World Cup since 1966. Much of what we have written about over the course of the 35 moments have concerned international or UK football. It was impossible however, to leave out the achievements of one club - Lyon. In 2018 in Kiev, the side coached by Reynald Pedros made history by winning its third consecutive Champions League title - its fifth in eight seasons. In the women's game, domestic dominance has been easy enough to find with teams like the Arsenal Ladies in England, but such continental superiority highlights a truly special club. At domestic level, the club's dominance began in the mid 2000s. During a successful spell in the men's team history - the women's side would too develop into the team in France. Winning the league title in 2006-07, they have gone on to win the subsequent eleven championships. This record is staggering. It highlights a dominance rarely seen in any sport - but it is one which needs to be celebrated. Despite financial giants PSG developing into a credible rival, Lyon's talent continues to shine through French football. Their record in the 2017-2018 is, quite frankly, incredible - P22, W21 D1 L0 GF 104 GA 5. In addition to this impressive haul, are five Champions League titles. Winning the last three editions has further strengthened the legacy of this unique side. 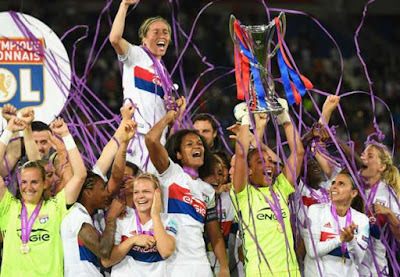 Despite the draw to women's footballers of playing in the US leagues, Olympique Lyonnais have, in recent seasons, seen some of the world's greatest players don the white jersey. Hope Solo, Megan Rapinoe and Alex Morgan are just three of an illustrious American contingent, with Lucy Bronze, Jess Fishlock and inaugural Ballon d'Or winner Ada Hegerberg all presently featuring for the side. With just a few rounds of the 2018-19 Champions League to go - all eyes are on Lyon to see if they can create more history for the women's game. 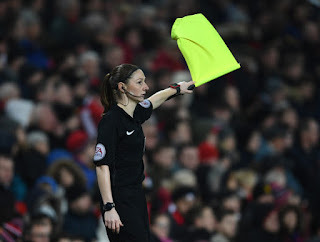 So where does this leave women's football? Is the game making the significant progress the media tell us? Or is there still much needed in order to see an equal and inclusive game? Indeed, in terms of participation, women's football continues to rise. A UEFA study in 2017 saw that the number of registered players across the continent was well over a million. Furthermore, the number of professional players had more than doubled in just four years. Importantly, the study shows the number of coaches, youth clubs and national sides all on an upward trajectory to highlight a promising future for women's football. 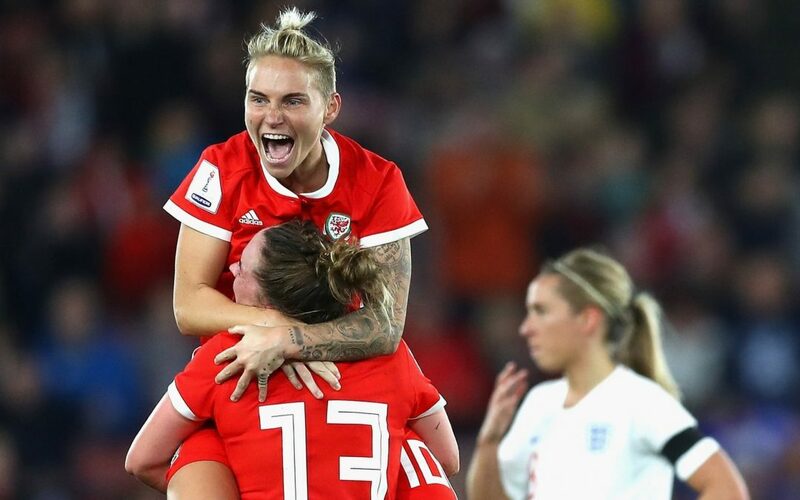 Even closer to home, the success of the Lionesses in 2015 and Scotland in their World Cup qualifying means the game is spreading across the United Kingdom. The Welsh side's incredible performance in a difficult qualifying group has inspired girls across the nation to give the game a go. The WSL is continuing to improve in size, economics and attendance. Women's clubs are developing their own unique and loyal fanbases. Clubs like Manchester City, Liverpool and Chelsea are leading the way by creating a 'one-club mentality'. This was seen clearly during the recent triumphs for Manchester City in both the Carabao and Continental cups. A tweet posted promoted the message, "We Won it Together". Moreover, positive signs can be seen with the development of a Manchester United women's team. 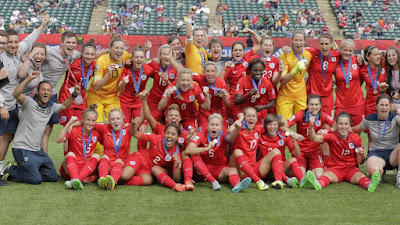 For years, England's most successful club were criticized for their lack of a female side - but the recent team, managed by England legend Casey Stoney, are looking to become a real force in women's football. The Women's World Cup takes place in less than 100 days and it is sure to be a incredible month, showing us all just how far the game has come since the tournament's arrival in 1991. Taking place in France, the competition will see four more debutants aim to achieve the ultimate prize in women's football. Media coverage will be greater than ever before as the spotlight once again falls on a festival of football. "strategies, initiatives and real life situations to assist clubs in developing programs aimed at servicing and growing the women’s game." 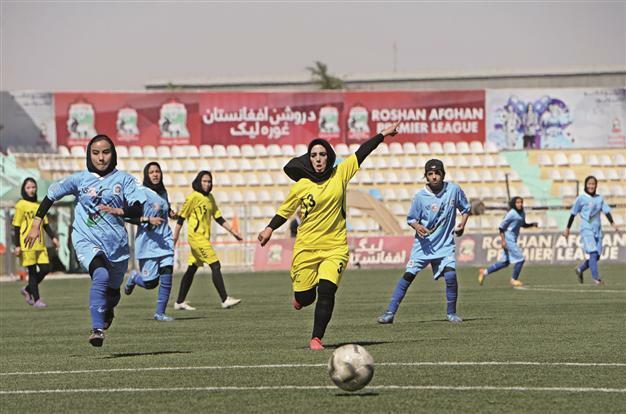 Around the world, football is becoming a source of freedom for many girls and women. In certain nations, where women's rights have been crushed by misogynistic and outdated ideals - the sport has liberated many from a repressive future. Of course, it is worth remembering that only 50 years ago - female football was as good as banned in the UK too. Opinions have been challenged throughout history and long may it continue. So where are improvements needed? It can often be seen that their is threat of a duality forming - that the men's game is for men and the women's in for women. Perhaps the most important area to improve is for a universal approach where football is a game for all and labels can be removed. Small steps are being made with match officials like Sian Massey and Bibiana Steinhaus taking an active role in the men's game as well as female. Twitter campaigns like #WomenInFootball are highlighting the need for leading female role models in both codes of the game and demonstrates the influence of female journalists like Jacqui Oatley, Eilidh Barbour and Gabby Logan. The recent 'Football Collective' conference in Glasgow featured an all-female panel discussing women in football. The panel concluded that although progress is clear to see - their is still a mountain of prejudice and negativity to overcome to see an equal game. Indeed, the 'lad culture' that football has been swept into has had a damaging affect at times on the women's game. 8 years ago saw Richard Keys and Andy Gray's 'invincibility' challenged after sexist comments towards Sian Massey and other female colleagues - but they have still walked into new jobs with relative ease. Recently, Alex Scott's appearances on BBC and SKY have drawn criticism from 'keyboard critics' who are seemingly worried that a woman may just know a lot more about football than them. Even the crowing of Ada Hegerberg as the first female Ballon d'Or winner was steeped in a sexism row after the unsavoury comments of the male host. Hegerberg's reaction however highlighted the growing strength of the women's game. Enough is enough. Unfortunately, opinions are not going to change overnight, but steps are being made everyday by modern pioneers of women's football. This last 'moment' isn't really a moment in history - but it feels like we are in the midst of something big in female sport. I have little doubt that in the years to come - when we redo the series or something similar, that 2019 could be pivotal to the history of women's football. If the history of women's football has taught us anything, it is to fight for what you believe in. Our list of moments has seen innovators and pioneers who have overcome misogynistic governance and antiquated beliefs in order to disseminate the message that women can do it too. Women's football is not a threat to the sport as a whole. Indeed, it is a game with a past to rival any other sport and one which is continually creating history for the generations to come.